Pio Cesare Barbaresco DOCG famous wine Available here | Saporidoc UK. 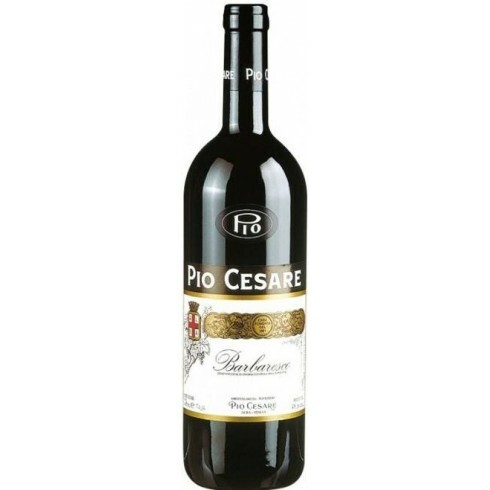 2011 Barbaresco DOCG from top producer Pio Cesare in Piemonte is a very classical style Barbaresco; elegant and velvety, with ripe and spicy fruit and strong but elegant tannins. Good structure and concentration and a very long life. Pairs with Red meat, game or seasoned cheeses. Serve at 16-18 C.
The Barbaresco wine from Pio Cesare has always been produced from grapes coming from different locations within Barbaresco appellation. This is the classic “formula” used by the ancient Barbaresco families to produce a wine which embraces and combines each of the unique characteristics of the different vineyards and terroirs of the Barbaresco area. Following manual harvesting of the grapes vinification took place in stainless steel tanks with skin contact for 25-30 days. Following melolactic fermentation the wine was aged in large oak “botti” for about 30 months with a small amount in French barriques before assembly and bottling. Colour: Garnet red with orange gradients. Bouquet: The nose scents of red ripe fruit and jade, with purple floral notes and spicy notes of vanilla, nutmeg and tobacco. Taste: On the palate a great structure and longevity, warm and soft, with soft tannins and persistency.